"Scientists haven't found ET just yet, but they may be pinning down the best places and ways to look..." was the message that came from the Astrobiology Science Conference according to a recent article. Scientists at the conference were still eager to find life elsewhere in the universe said the article and, quoting Mary Voytek, astrobiology senior scientist at NASA Headquarters, the article continued, "We're interested and prepared to discover any form of life." This comes hot on the heels of comments made by noted astrophysicist Stephen Hawkings who has said he "strongly believes in aliens" and warning that "Earth could be at risk from an invasion." The comments, (widely reported in the media including the Daily Mail) were made in an interview about a new documentary series he has made for the Discovery Channel called Universe which uses imagined illustrations to explains why he believes in extraterrestrial life and the forms it could take. "We only have to look at ourselves to see how intelligent life might develop into something we wouldn’t want to meet." said Professor Hawkings. Like discussing the plot of a SciFi blockbuster movie Professor Hawkings said, "I imagine they might exist in massive ships, having used up all the resources from their home planet. 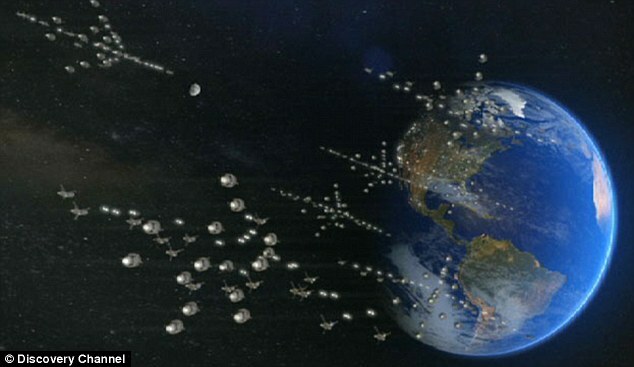 Such advanced aliens would perhaps become nomads, looking to conquer and colonise whatever planets they can reach." But before you start panicking it should be remembered that this isn't the first time Hawkings has expressed his belief in there being extraterrestrial life. At that time though he claimed it was dumber than us. 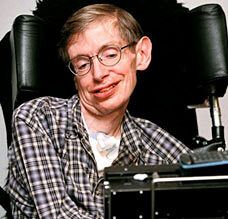 He then went on to say the odds were in favour of the existence of suitable planets ripe for colonisation. "We cannot envision visiting them with current technology, but we should make interstellar travel a long-term aim," he said. So, to recap, when NASA finds a likely planet we should send out ships to colonise it "for the good of humanity" but if we run in to any nasty aliens we shouldn't talk to them in case they notice us and if we have to shake their hands... or tentacles or whatever... remember to wash your hands. I just love this story from Sky News. We've all heard how cushy prisons are getting these days (alledgedly) but one which sends them home at the weekend? Burglars have broken into a prison and stolen inmates' television sets. The thieves crept into a minimum-security jail in the Dutch town of Hoorn, near Amsterdam, when the inmates were away for the weekend, authorities have revealed. The facility is used for prisoners who are coming to the end of their sentences and, because they are soon to be released, are often allowed out for weekends. The establishment is described as "a very modestly protected environment". The thefts took place on two separate weekends, in March and April. It is still not known how the burglars broke in. No arrests have been made yet, a police spokeswoman said. 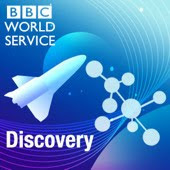 Among the many wonderful podcasts from the BBC is one from the BBC World Service called Discovery which covers a range of scientific topics. In a new special episode the podcast deals with the science of volcanic ash clouds and why you don't fly through them. It discusses the Icelandic volcano, the impact it's ash cloud has had on aviation and the many other implications ash clouds can have. Now I'm all for recycling - just ask the family - but according to the report in the Daily Mail recycling in England is going to take on a new meaning and if the story is only half true it is indeed going to be a nightmare. 5 a white bag for clothing and textiles. 9 a grey bin for non-recyclable waste. When the nine-bin system was introduced in Newcastle-under-Lyme last month they had to publish step-by-step instructions on how to fold down a cardboard box so that it fits into the green bag. The new system was introduced to help boost recycling rates from 26 per cent in 2008 to a target of 50 per cent by 2015 but means only food waste is now taken each week and all other rubbish has to be stored for a fortnight before it is collected. This all seems a step too far to me. It was bad enough when the blue and brown bin where introduced here. While it is not too onerous to keep three bins going the fact that the grey bin was changed to fortnightly meant that I have to make a dump run every few weeks cause there is just no room in the grey bin. Things have improved since they were introduced though as more recyclables can now go into the blue bin and food waste can now be put into the brown bin as well so kudos to Ards Borough Council for helping rate payers. The report went on to say "Around half the country now has fortnightly collection systems imposed by town halls that prefer to compel their residents to carry out complex recycling than either organise recycling themselves in waste plants or absorb the cost of landfill taxes. "A report for the Environment Department last week revealed that the burning of household rubbish by those trying to evade recycling rules has now become the greatest source of highly poisonous and cancer-causing dioxins in the environment." 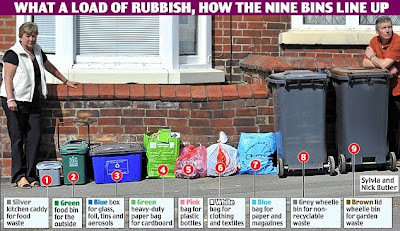 All I can say is that if this nine-bin system is introduced more widely along with some of the fines currently in place and binmen refusing to empty bins because they are "contaminated" you'll find even more waste being burnt. Yes, we all need to recycle more, but the Councils need to make it easier for people to do it not make their lives more difficult. 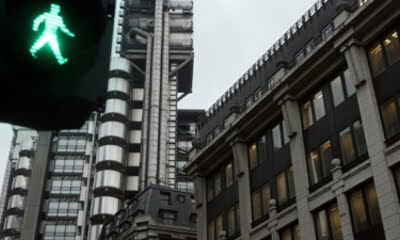 Following on from highlighting iPad for the iCat heres one for the silver surfers. Never looking up at the camera, she’s totally focused on her new iPad which daughter and son-in-law got her the first day they came out. An avid reader Viginia suffers from glaucoma, making it difficult to read. Having never owned a computer before when she heard all the hype about the iPad she wanted one and now she’s reading books on the iPad and writing limericks as well. Heres a tribute in appreciation of her newfound freedom from the frailties of old age. With all the tales of tribulation suffered by the passengers stranded by the grounding of aircraft due the Icelandic ash cloud and all its attendant negative press its hard to believe there would be anything positive to report. But here's a story for all you with a plot that could have come straight from a romantic movie. 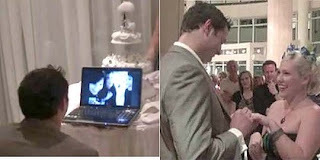 It seems that when Sean Murtagh and Natalie Mead were stranded in Dubai techology came to the rescue to save their wedding when with the use of laptop and webcam the ceremony was broadcast on Skype to family and friends at home to enable them to join the happy couple. In the report from the Sydney Morning Herald Natalie said, "Passengers stranded in the hotel were getting excited for the first time in days when they heard about our wedding; some even helped me with my hair and make-up. It was also great to see everyone in the UK on our wedding day, even if it was via webcam. "It has been an amazing day and we are just so grateful for everything that everyone has done for us. It is definitely a story to tell the grandchildren. There was no way we were going to let this volcano stop us [from] getting married." Read the full story at the Sydney Morning Herald here. 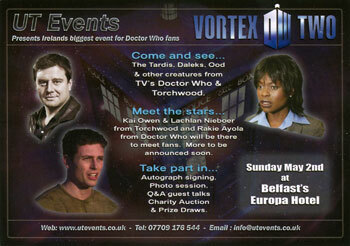 Fans of Doctor Who and Torchwood will be pleased to learn that following the success of Vortex last year, UT Events have recently announced Vortex II with proceeds in aid of the Northern Ireland Children's Hospice. Hoping to build on last year's success, the event will again take place during the bank holiday weekend in the Europa Hotel, Belfast on Sunday 2nd of May, with guest actors from the series taking part in the event where they will be signing autograph, answering questions and enabling photo opportunities. Among the many characters invading the Europa meet the Ood, Weeping Angels, Clockwork Droids who will be roaming around the venue, and the Daleks of course. During the day take part in the Charity Auction, prize giveaways or, live on stage, the "Feel or No Feel" gameshow and bring the evening to a close by joining the party and Fancy dress competition. With the rise of genealogy in recent years there was also a rise in the number of genealogy magazines with hints, tips and articles that would (alledgedly) tell you everything you'll ever need to know about genealogy and researching your family history. As more and more information became available online on websites and genealogy blogs however, several of the print editions have now ceased. One of those magazines Ancestry, considered by many to have been one of the top magazines in this field, is now available to view on Google Books. The archive on Google contains issues of the magazine going right back to 1994 and is well worth taking a look at. Ancestry magazine is published by Ancestry Inc., parent company of Ancestry.com and "focuses on genealogy for today’s family historian, with tips for using Ancestry.com, advice from family history experts, and success stories from genealogists across the globe" and, although I feel it is aimed primarily at the American market, there is still something for everyone. Commenting on their blog Ancestry says "For 25 years, Ancestry magazine has been a valuable, timely resource for family history professionals, hobbyists, and novices alike. For a variety of reasons, the time has come for us to discontinue publication. Over the last few years, we have found that with the expanded accessibility of terrific family history content published online at Ancestry.com we can reach a larger and broader audience than the limited distribution of a print publication. The March/April 2010 issue will be the final issue of Ancestry magazine." Did you sell your Soul to GameStation? When you buy something online, how well do you read the small print? When I came across this story I thought... Hey... This is a great Aprils Fool... But it seems not... It does highlight perfectly though how most of us never check the small print and why it catches a lot of people out. The GameStation clause also specified serving such notice in “six foot-high letters of fire” too, but offered customers an chance to opt out, rewarding them with a £5 money-off voucher if they did so. 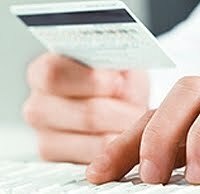 Very few did and apparently 7,500 customers signed on the dotted line as it where. It seems like every other day there's a story appearing that makes you go "what?" and this week is no exeception. 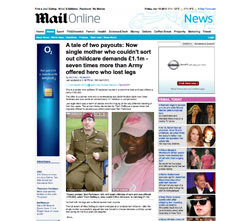 Just looking through the MailOnline alone makes you wonder. Other stories include the story about the Sainsbury store butcher who had to refuse to de-bone a joint of lamb in case he cut himself - "it's Health and Safety"
Then there is the story of Catherine Leonard who feeling ill asked for help but was refused by the M&S staff - "it's Health and Safety"
The MailOnline also carried the story of Nicola Hobbs who applied for a job but after a health check was told she was too ill to work. Then when she tried to apply for employment support allowance she was then judged she was fit enough for work. There is an argument that the criteria for the job she applied for meant she could be classed as fit for another job... BUT... the incredibly part of the story is that it was the same healthcare company contracted to carry out both assessments. One has to ask how independent these checks where or does it depend on whose paying the bill? Things get worse again though when you read that a disgraced banker who stole £315,000 from his disabled niece's charity fund and only has to pay back just £1. The good news here is that, according to the story, the bank has since refunded the entire amount back to the girl's family... now THAT has got to be worth a story on it's own... a bank being helpful! The Library of Congress has announced that is to archive "every public tweet, ever, since Twitter’s inception in March 2006" and that’s a lot of tweets. 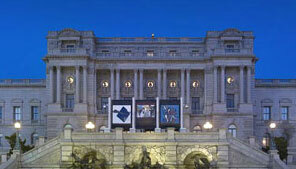 The announcement was made in the most apt way via their own feed @librarycongress which has now over 50,000 followers. 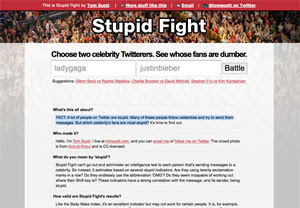 On their blog Matt Raymond writes, "Just a few examples of important tweets in the past few years include the first-ever tweet from Twitter co-founder Jack Dorsey (http://twitter.com/jack/status/20), President Obama’s tweet about winning the 2008 election (http://twitter.com/barackobama/status/992176676), and a set of two tweets from a photojournalist who was arrested in Egypt and then freed because of a series of events set into motion by his use of Twitter (http://twitter.com/jamesbuck/status/786571964) and (http://twitter.com/jamesbuck/status/787167620). "So if you think the Library of Congress is 'just books,' think of this: The Library has been collecting materials from the web since it began harvesting congressional and presidential campaign websites in 2000. Today we hold more than 167 terabytes of web-based information, including legal blogs, websites of candidates for national office, and websites of Members of Congress. " We've all seen the news and the videos and seen the reports and reviews about Apple's iPad and many of you will have been trying to figure out a use for it so you have an excuse to get one. Twitterers... See whose fans are dumber. I've seen some weird reasons to set up a web site but surely this is one of the oddest. Stupid Fight is a web site set up to find out which celebrity's fans are the most stupid? "Desperate drivers hit by council fines have come up with some unusual excuses in a bid to escape having to cough up, according to a new report." Excuses included spotting a UFO, claiming colour blindness, it was raining and I had to pick up and an injured dog. Most of you will have already heard that PRONIs Self-service microfilm facility will move to Creagah Libray from September. This is great news to all of us who where wondering how we were going to access the records given that PRONI will be closing down for almost six-eight months in their move to the Titanic quarter. Director of PRONI Aileen McClintock said: “Moving the Self-Service Facility is one of several measures PRONI is taking to allow uninterrupted access to a significant quantity of our records while we relocate to our new headquarters." The construction of the new Public Record Office of Northern Ireland in Belfast’s Titanic Quarter is currently on programme for completion and handover in August 2010 – following that it will take up to eight months to move the archives to the new headquarters. Cregagh Library is located near the upper end of the Cregagh Road, off Upper Knockbreda Road. It is a 10-minute drive from PRONI’s current site at Balmoral Avenue and it is on a direct bus route (No. 6A) from Belfast City Centre. Customer parking is available on site and also in the surrounding area. There is full disabled access. While I think it proves the point that, get famous and you can get paid for something that would be buzzed off on Britain's Got Talent, I don't think some of these are the worst I've seen... or heard rather... there are many live concerts were the singing has left a lot to be desired. Of course it depends on your point of view. Fans will say the recordings have been doctored but I'll leave people to make up their own minds. Reminds me of The Simpsons Boy Band episode - unfortunately I couldn't find a link to where they turned off the machine... lol. If you are like me and have a bit of an interest in history here is a blog well worth the time to visit. A Blog About History (www.ablogabouthistory.com) is a daily post collating various articles from across the web with an historical, archaeological or palaeontological interest and does a very good job of it. If you want to read about the family of a holocaust survivor who swapped some cigarettes for a $10 million 3,200-year-old Assyrian gold tablet or the couple who put up a WWII POW camp up for sale on eBay or even the 16th Century origin of platform shoes then this site is for you. 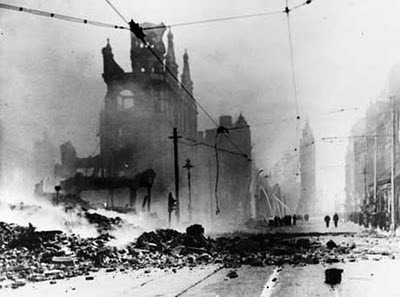 On Easter Tuesday, 15 April 1941 (69 years ago), Belfast, ill-prepared and with very few public air raid shelters for its citizens, faced the devastation brought by the German Luftwaffe (what Lord Haw-Haw called “Easter eggs for Belfast”) in which half the city was destroyed and almost 1,000 people lost their lives. An earlier much smaller raid had taken place on the 7 April but nothing prepared the people for the biggest loss of life in an enemy bombing raid outside London. One notice read "JAMES FORBES, Hairdresser; also his dear wife MARTHA; also their dear children, ELSIE, JIM, NORMAN and SADIE." another "ANNIE HANNA, SAMUEL and ROBERT JOHN (sons), DOREEN (daughter) and MYRTLE (daughter), still missing" highlighting some of the many families that were wiped from the history books that night. Today, Belfast is a lot more peaceable, but when you sit down to enjoy the chocolate eggs you got on Sunday remember the "Easter eggs" that Belfast got that night and take a moment to think of the families that suffered and that soldiers are not the only casualties in war.